Oman Air has officially announced that it has obtained approval from the Govt of Oman to launch a low cost airline operating primarily to the Indian Subcontinent and selected domestic routes to offer a more cost effective product to its core clientele. In addition, the airline too revealed that the 3 new long haul routes that it intends to launch to help boost revenues and profitability include Casablanca, Manila and Jakarta. Convert many B738s from its existing fleet from a dual class configuration to an all economy class layout seating 180-189 passengers and operate them on ISC routes which have minimal business class demand such as CGP, LHE, ISB, PEW, COK, CCJ, TRV, LKO, HYD, BLR, MAA, CMB and KTM. Routes such as KHI, BOM and DEL though should be maintained as a 2 class service as the airline does get a small amount of premium passengers bound to Europe in particular. If WY is in desperate need of planes to propel growth, they can easily dry lease from Fly Dubai or Jet Airways (JetKnonnect) few all Y class configured B738s. In addition to the ISC routes, others that should be served with these configured aircraft include KRT, DAR and ADD. Order a bunch of larger Boeing 737-900ERs from Boeing to be configured in all Y class layout which would seat 230 passengers i.e. at least 27% more than the B738s and the cost to operate these aircraft would be about 8% higher at the very most which is off set by the on board capacity increase. This is the same successful formula adopted by airlines such as GF and QR who use the A321s (direct competitor to the B739ER) instead of A320s (direct competitor to the B738) on higher volume, lower yielding routes to the ISC region due to the better performance economics that the bigger planes provide. 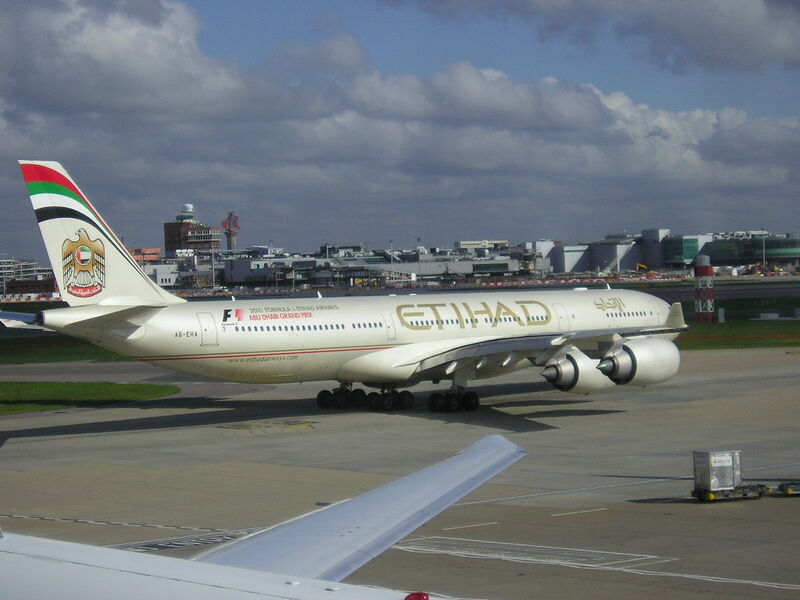 Etihad too has followed suit by exchanging an order of 7 A320s for A321s in 2012 which was announced in Q3 2012. Yes ordering B739ERs might require a fresh injection of large capital from the Omani Govt however this too can be off set if WY negotiate with Boeing to exchange B787-800s that it has on order for B 737-900ERs. Three B739ERs can be obtained for the price of 1 B787-800 of which WY has ordered 6 in total. Now as far as the plan is concerned with regards to launching MNL, CGK and CMN, yes there is good potential for the first 2 mentioned (MNL/CGK) but none for CMN because it’s a highly seasonal market and year round S/F are not high enough to warrant a new GCC carrier entering the market segment. In addition, WY does not have a large SE Asian market to adequately feed CMN which QR/EK/EY do. As for MNL and CGK, WY needs to first reconfigure at least 2 of its A333s into a high density J/Y configuration in order to make these routes work as the current premium heavy configuration of its A330-200 + A330-300 fleet are not suitable at all for either routes. A maximum of daily service is required for MNL and CGK each to be operated nonstop from MCT preferably using an A333 configured to hold 18J (sleeper seats in order to main product consistency across its wide bodied fleet) plus 296Y. Both CGK and MNL will provide a decent amount of high yielding O&D traffic bound to MCT as well as help majorly feed its multiple daily GCC/KSA bound services. MNL too at times can help contribute passengers on services to ZRH, LHR, FRA, CDG, MUC and MXP for which there is high demand year round. IAG the owner of British Airways and Iberia has officially announced that it has exercised options that it held with Boeing for the purchase of 18 additional Boeing 787s for British Airways. The exact breakdown of the sub models is yet to be known however it is expected a majority to be for the larger B789 version. IAG too disclosed that it has also secured additional delivery slots during the later part of the decade for Iberia as it will use the B787s to gradually replace IB’s fleet of A332s and A343s in particular. Alitalia has officially announced that it will be further increasing its services to AUH-Abu Dhabi, UAE in cooperation with Etihad as both the airlines look to slowly tap into the high demand FCO-Asia market segment. AZ’s current schedule of 4 weekly flights will be increased to 5 weekly nonstop using an A330-200 effective 11JUN. Japan Airlines is seriously contemplating placing an order with Airbus for 20 of its largest A350-1000X (according to Japanese media) as the airline’s CEO announced that it was high time the carrier moved away from its total reliance on having all Boeing fleet. JAL would use the A351s to replace B772ER and B773ER on services to USA and Europe. Lufthansa has officially announced that it is seriously studying the potential of creating a new long haul low cost airline as the carrier finally acknowledges that it has gradually losing a lot of market share bound to the Asia-Pacific and Indian Subcontinent region to the Middle Eastern carriers which need to be tackled. No hints of fleet type nor intended destinations nor possible aircraft configurations being mentioned. 1. Order a bunch of B777-300ERs (which it already has done for SWISS) and configure them in more or less the same manner as Air Canada has for high density long haul operations i.e. 430-440 seats in a J / Y class configuration. Routes that can support such a high density layout include BKK, MIA, PEK, ICN, DEL, KUL, JNB, EZE and GIG. 2. If ordering a dedicated fleet of B77Ws (over a dozen required minimum) for this type of service is too capital intensive, then it could look into reconfiguring many of its B744s into a high density 2 class layout seating 470-480 passengers. The upper deck can be exclusively for business class and the lower deck for economy passengers only. In addition to the above, KQ too disclosed that the first 2 routes to be operated with its new Boeing 777-300ER fleet shall be LHR and AMS effective 04NOV13. Ethiopian Airlines has officially announced that due to high demand for both O&D and intra-Africa traffic on board its Muscat flights, it will be increasing frequencies on this sector. Services will go up from 4 to 5 weekly nonstop flights in code share with Oman Air using a B737-700. Oman Air need to launch their own MCT-ADD flights at a similar frequency level of ET. The GCC-ADD market segments are very big in volume and much higher yielding than DAR/NBO. In addition, WY can attract feeder traffic from ADD at better yields to India, BKK, KUL and KHI than it currently does so out of Europe. An initial 4 weekly B738 operated service would work out just fine as long as it ensures that UAE, KWI, DOH, BAH, BOM, BKK and DEL in particular are connected nicely in both directions. India and Singapore Governments have recently concluded signing an amended air bilateral accord giving increased access to airlines of both countries to boost flights as air travel demand has risen considerably between both countries since 2010. According to the new accord, the weekly capacity can be increased on both sides from the current 23,000 seats to 29,000 effective IATA Summer 2014. Taking this into account, DEL-SIN is already a double daily B777 operated service by SQ where as MAA is only a daily A333. MAA should be the one that should be really increased to double daily A333 at least as the market demand is definitely there along with cargo. In addition to O&D, SQ would also get a good chunk of transfer traffic from MAA to KUL, China, HKG and Australia where there is good sized demand to tap into especially for KUL ! In addition, QR too revealed that it shall be increasing flights to CDG-Paris effective 30MAY13 from the current 18 weekly to triple daily nonstop using a 310 seater A340-600. Flights shall be departing DOH at 0145/0825/1355 and departing CDG at 1120/1600/2225 respectively. QR's entry into BSR will hurt EY the most because of its ability to offer convenient 2 way connections to/from Europe which EY cant since it does not have a 1300-1400 EU departure hub wave bank out of AUH which QR has out of DOH. In addition to the above, TK also confirmed that it has placed its largest ever order in history with Airbus for 117 new Airbus planes to be delivered over the next decade. The order breakdown consists of 4 A320s + 25 A321s + 53 A321NEOs + 25 options on the latter. In 2012, a total of 81,000 passengers flew combined between MXP and LHE/ISB compared to 68,000 in 2010 ! The 6 B77Ws ordered for LX will be in time increased to a minimum order of 15 aircraft as they shall be replacing in due course LX's entire A343 fleet. Malaysia Airlines has officially announced due to booming passenger and cargo demand for its Dhaka bound services, it shall be launching an additional second daily nonstop service on this route effective 01APR13. In total, all 14 weekly services will be flown with a mixture of Boeing 777-200ERs (11 weekly) and Airbus A 330-300s (3 weekly). In 2012, a total of 285,000 passengers flew between KUL and DAC. Flights will depart KUL at 0940 and 1850 daily and arrive back by 0335 and 1825. Eva Air of Taiwan has revealed that due to increasing demand for its Vienna bound services operated currently via Bangkok, it will be increasing its frequencies on this sector effective 02SEP13. Currently, 3 weekly flights are operated on the TPE-BKK-VIE sector with an A330-200 with 5th freedom traffic rights available on the BKK-VIE-BKK portion. These shall in turn be increased to 4 times per week from September using the same aircraft type. Cathay Pacific has officially disclosed that will be increasing its services to LAX-Los Angeles, USA during the IATA W13 season by maintaining its S13 frequency level of 20 weekly nonstop flights using a Boeing 777-300ER. 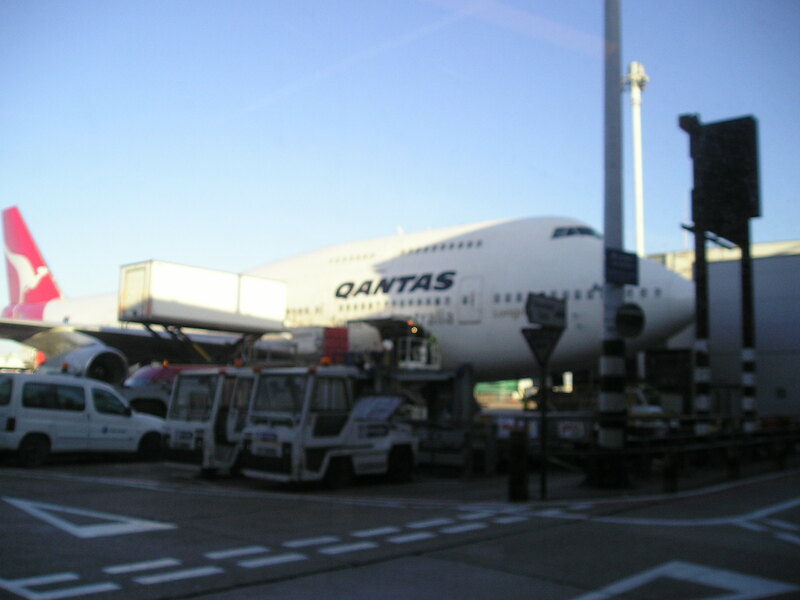 Traditionally in winter due to seasonal demand patterns, CX reduces LAX from 20 to 17 times per week but this year due to the rapid retirement of their B744 passenger fleet as well as the need to remain competitive from a seats capacity stand point across this vital trans-pacific sector, it will not be undertaking the reduced frequency approach. British Airways has officially announced that the first 2 long haul routes that it will be operating using its newly delivered fleet of Airbus A380s shall be Los Angeles and Hong Kong. 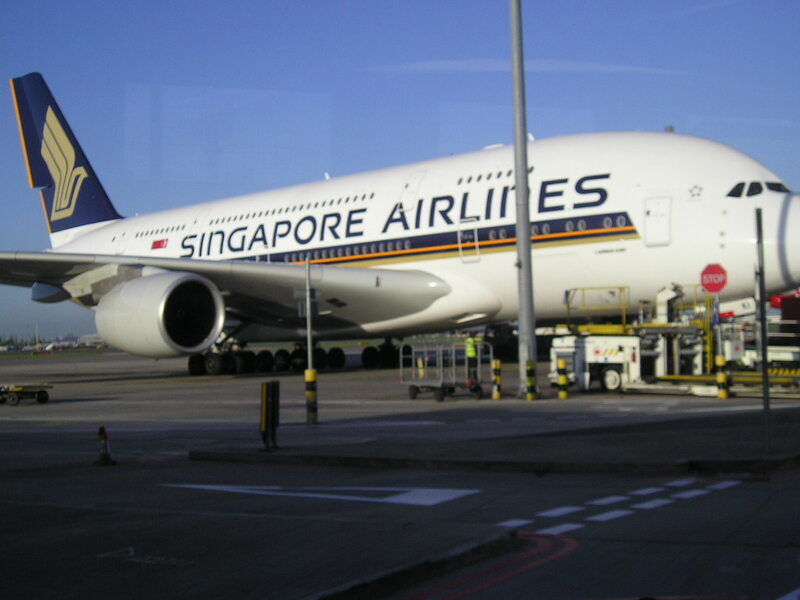 Both routes will receive one daily A380 operated service each from 15OCT (LAX) and 15NOV (HKG) each respectively. BA's A380s seat a total of 469 passengers in a 3 class configuration with the premium cabin having 14 first class + 97 business class seats. In addition, BA too confirmed that due to on going high demand especially in the front end, it will be increasing its services to PVG-Shanghai, China effective 31MAR from 6 weekly to daily nonstop flights using a mixture of Boeing 777-300ERs (5 weekly) and Boeing 777-200ERs (twice a week). Its second Middle East route which was announced by the Philippine's Ambassador to Qatar last week, shall be Manila-Doha nonstop using an A333 as well but operated 6 times per week only nonstop effective Oct 2013. PAL's President Mr Ramon also confirmed saying that now that Manila airport as passed the ICAO audit and is going to get back its Category 1 status, planned services to ORD and JFK as well as upgrading its product on LAX from B744 to its new B773ERs shall be taking place once all the paper work is cleared. PAL's entry into AUH will hurt the most CX's performance on this route which is already operating at a reduced frequency of 3 times per week as the carrier is heavily dependent on the feed it generates to MNL on its AUH bound flights. Their market share will suffer the most followed by QR and GF. With regards to market size potential, the AUH-MNL segment in 2012 saw 95,000 passengers being transported where as in comparison, DXB-MNL had 580,000! PAL needs to get into the KWI market as soon as possible as direct competition on this route is far less versus the other GCC cities. KWI-MNL market size is approximately 130,000 passengers annually and no one currently offers nonstop flights as KU operates 6 times per week to MNL via BKK using an A343 hence the capacity of the airplane is split in half to support both routes. Emirates has officially revealed that it will be increasing capacity on its popular Dubai-Sydney route by making both its double daily nonstop flights operate with a 517 seater Airbus A380 effective 01JUN13. Currently, EK operates a double daily B773ER service to SYD (one nonstop and one via BKK) + one daily A380. The flight receiving the upgrade is EK 414/415 which departs DXB at 0225 and departs SYD at 0600 respectively. In exchange for this order, CA sold back to Boeing seven of its B744 converted freighters and also enforced in its purchase deal the option of converting 4 B737-800s for 1 Boeing 777-300ER in the future if the need arises. China Eastern Airlines based out of PVG-Shanghai has officially announced that it will be further increasing capacity on its popular YVR-Vancouver bound services from July 2013 onwards. In Summer 2012, MU operated 11 times per week nonstop using an A332, however from 20JUL13 onwards, these shall be further increased to double daily nonstop using the same aircraft type (A332). United Airlines has officially announced that due to it moving its entire Boeing 747-400 operations and maintenance base to SFO airport, its services from ORD-Chicago to Hong Kong currently operated nonstop daily using a B744 shall be downgraded from the on set of the IATA S13 season to daily Boeing 777-200ER. This represents a total of 216 seats on the ORD-HKG sector for UA on a daily round trip basis as its B744s seat 374 pax where as its B772ERs seat 266 in a 3 class layout.